Awra and Onyok share how they budget their earnings. 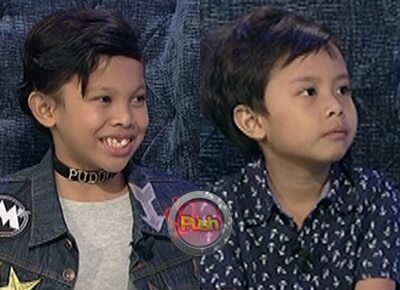 On Tonight wih Boy Abunda, The Super Parental Guardians child stars Onyok and Awra revealed how they take care of their earnings. Onyok said he wanted to be an actor for practical reasons. “Gusto po namin kasi mag-ipon e. Ako din po nag-iipon e.” He then shared his dinosaur coin bank is almost full. Asked who they want to work with for their next movie, the two maintained, “si Kuya Coco (Martin) po uli saka si Ate Vice.” The two shared how CoCo and Vice mentored them in acting. Onyok also revealed Vice’s three gifts for him on his birthday were two dinosaur toys and an X-Box gaming console.